The postman arrived to find me wobbling at the top of a step ladder, peering through a piece of black cardboard with a square cut out of the middle. “I’m composing photos of my garden,” I heard myself saying. Oh dear. How mad does that sound! I rather sheepishly climbed down and made him a cup of tea while he chuckled away. Over tea and biscuits in the potting shed, I explained that my new photography workbook recommended using a piece of card to practise framing a view. It works close up, as well as for landscape views. I just had to learn how to squint through the cut out square- while up a ladder, and while keeping my balance. The postman declared it could all end in tears. Anyway, as he continued his round, laughing as usual, I went back to my new book. 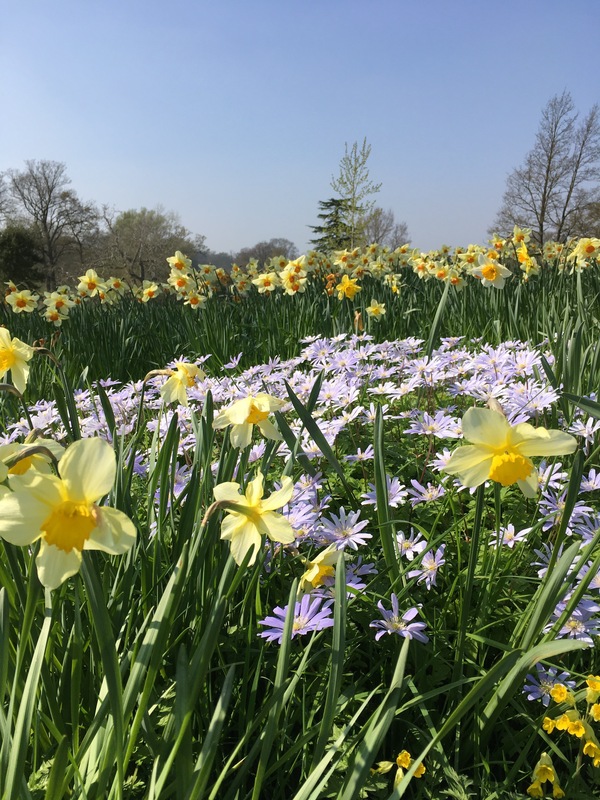 Andrea Jones has produced a fabulous masterclass giving hints and tips on the best ways of capturing the garden. Looking up. A worm’s-eye view. I haven’t quite got the best shot. They are so tiny, I needed to move some of the stems out of the way. But it’s still an interesting view. I shall work on the idea. And here’s another photo I took from a standing position. 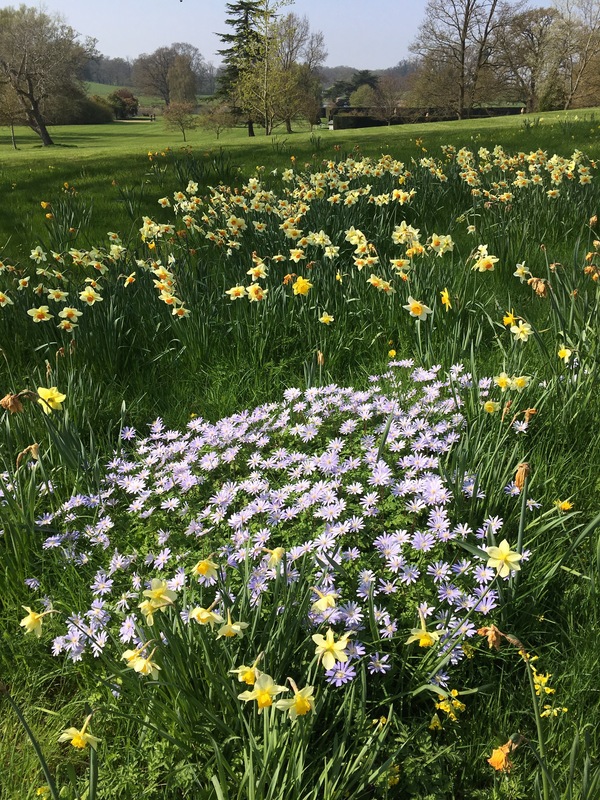 A glorious garden at Burghley House near Stamford, open for the NGS scheme. Use a compass – a smart phone has a compass app- to get an idea of the light direction and potential shadows. The best light for taking photos is the “golden hour” the first hour after the sun rises and the last hour of light before the sun sets. Use an online sunrise and sunset app to estimate the time. Tripods make a world of difference for taking good photos. But if, like me, you are using a camera phone, a small piece of tack or Plasticine can be used to position a phone temporarily on a secure surface to avoid camera shake. I tried this on top of the garden gate. If taking shots in bright, contrasty light, use your body to create a shadow and reduce the amount of light reaching the plant or subject of the photo. Other headings in the book include: Photography in all Seasons, Photographing Pets and Wildlife, Working with Weather, Light, Macro, Micro, and Close-up, Essential Kit, and Catching the Moment. I am working my way through the rest of the book. There are 10 inspiring gardens featured with step-by-step lessons on observation, storytelling, composing, and editing. Andrea’s book helps you take your photography to another level, whether you are using a smart phone like me, or have the latest DSLR. 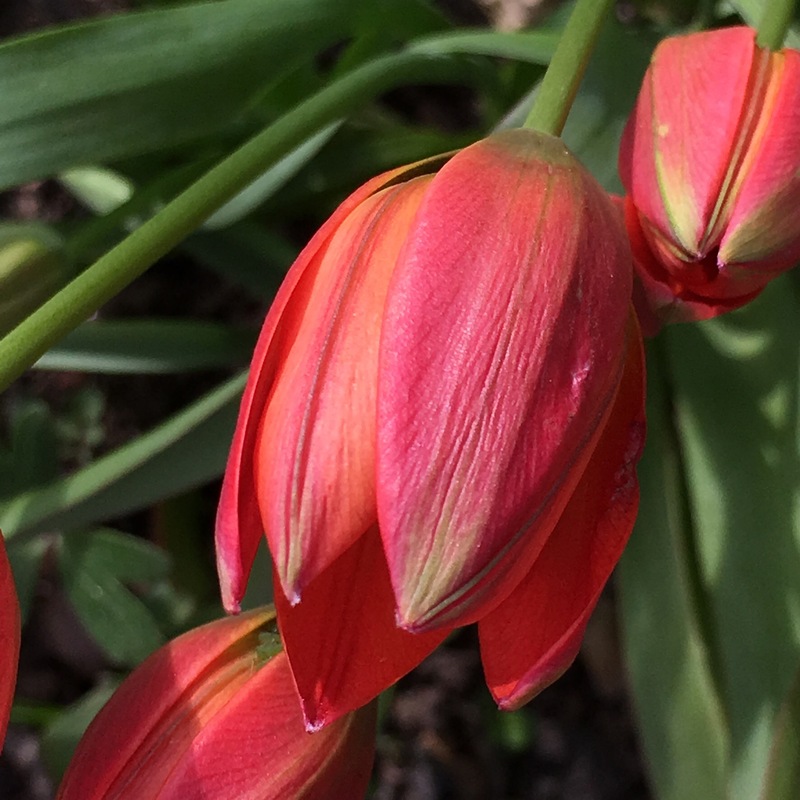 It’s a master course on capturing the magic of gardens. Unfurling. 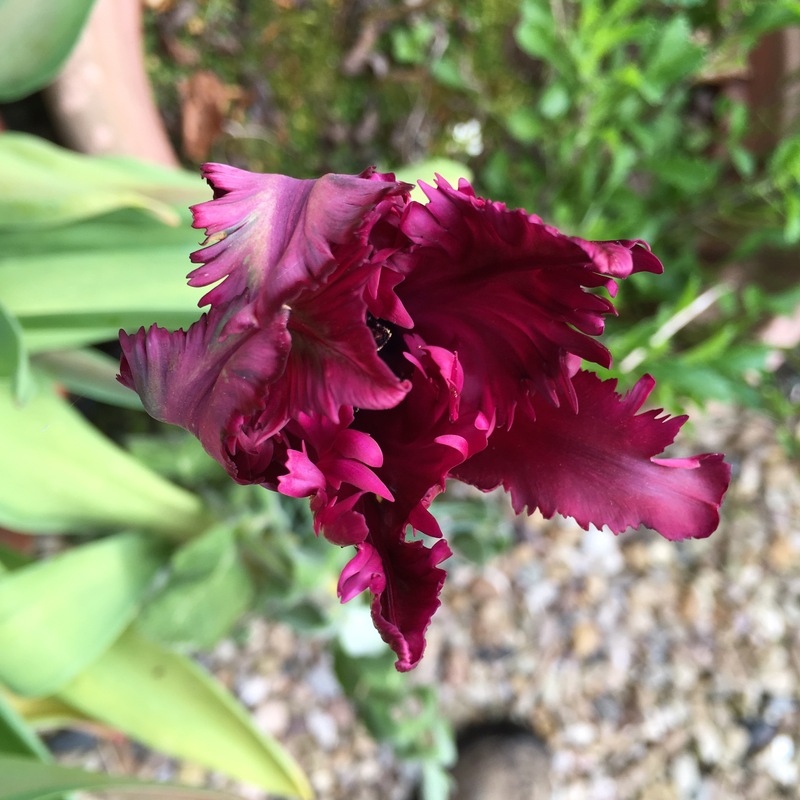 My Black Parrot Tulip. A favourite this spring. Except, my foot is also in the photo. Sigh. I still have some work to do then. 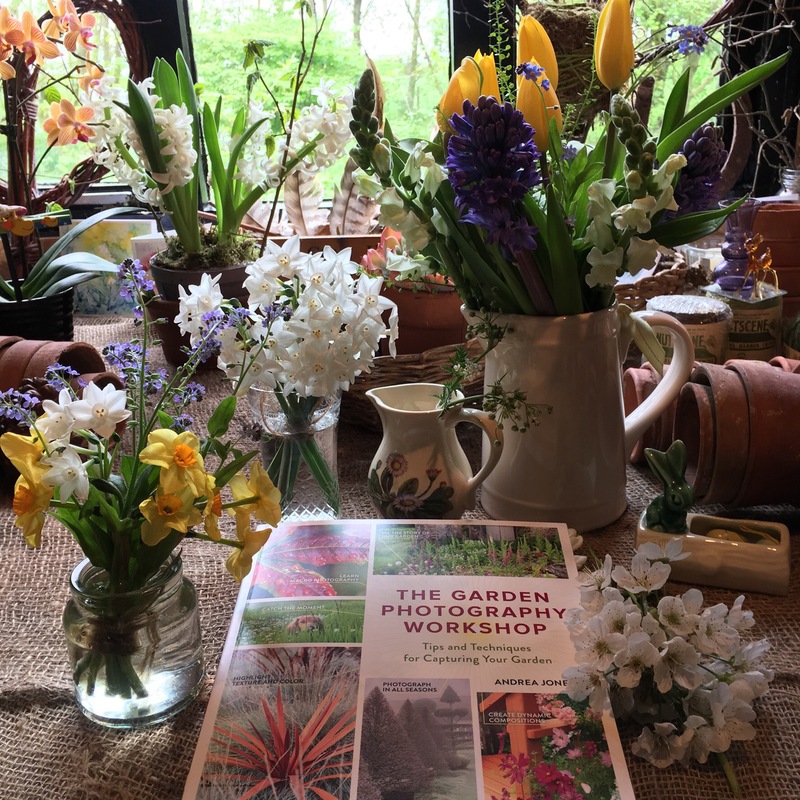 Thank you to Timber Press for supplying The Garden Photography Workshop- in exchange for an honest review. I will leave you with my cat Grace who shares my home- and garden- and who sits very patiently while I practise my new photography skills. Do you enjoy taking photographs of your garden? She’s a darling cat. 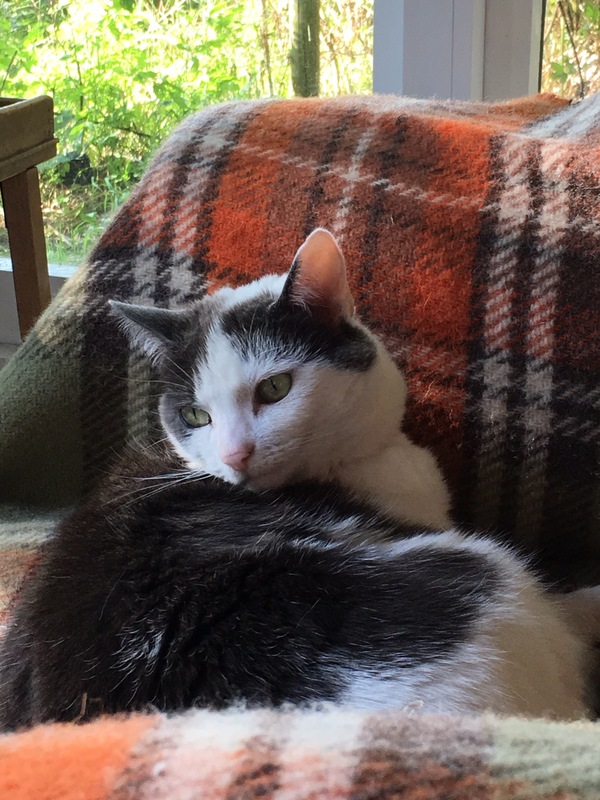 Got her from the RSPCA three years ago. She had been handed in with a cardboard box full of her kittens, with every pest and disease known to felines. She’s in great shape now and wonderful company in the potting shed. Awww sooo glad that you rescued her!! Thanks Karen. Now on my list. But your pictures are lovely anyway ! A good, informative, post and lovely pictures, especially the one of Grace. Some great ideas and Grace is beautiful. Does the book come with new knees for get those low down shots! I love my kneeling stool with hand rails to get me up again. When I bought it I thought I must have become an old fart, and then I realised I had actually shown youthful intelligence and ingenuity! 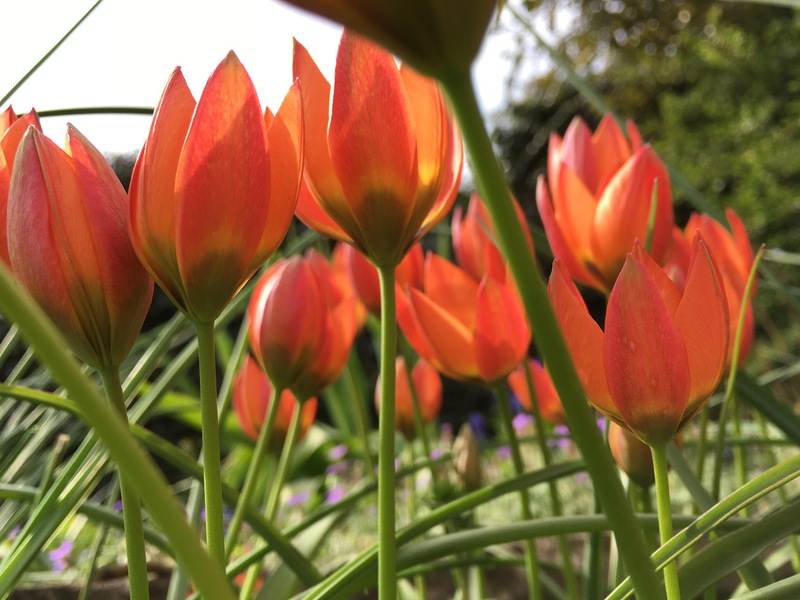 The tulip picture is very good one, you wouldn’t know what type of camera it was taken with. I take a huge number of garden photos both in my garden and when visiting gardens. Producing a blog encourages it.